In September, a piece noted Gourav Mukhi was 28. In October, he was praised as 16, and cited as the youngest goalscorer in Indian Super League history. In December, it was determined that he's actually 28, and he was suspended for six months. There’s a long and strange history of athletes lying about their age, from Little Leaguers to gymnasts to MLB players to a 25-year-old who really wanted to play high school basketball again. The latest case comes from India’s top soccer league. 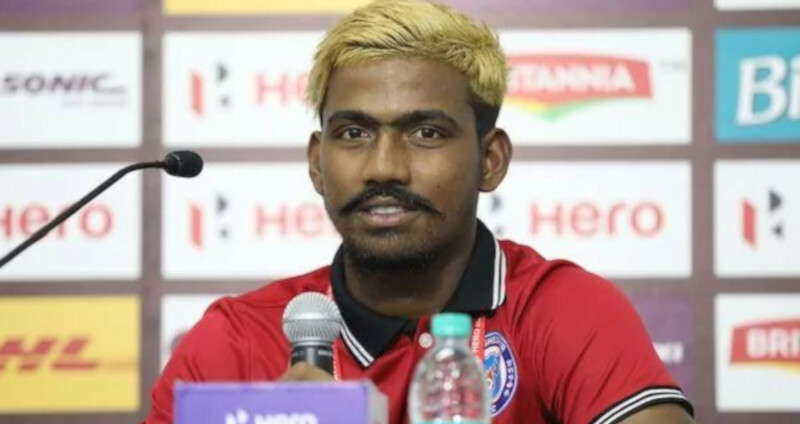 The Jamshedpur FC player has been banned for 6 months by the AIFF. But the question remains, how did he get away by lying about his age for so long? The ISL is clearly red-faced as its ‘Boy Wonder’ turns out to be very much a man. But it was the sudden interest in him that led to uncovering reports of him lying about his age when he was selected for the U-17 FIFA World Cup squad back in 2015. Even before he scored the famous goal, a piece in Telegraph India had published a piece on him where they referred to him as 28 years old but for some reason the ISL failed to spot it. Imagine that? This guy was posing as a kid and attracting all the attention. He is one of at least five players who have been accused of age fudging in recent times. Just shows how this age verification process has to be vetted really well. Currently in Madrid, Spain, with the JFC team for pre-season training, Gourav scored two goals in as many minutes on Saturday’s match against football club Mostoles Balompie. JFC won 3-0 in the match where Gourav was the star. It’s a story of sheer tenacity and passion for the 28-year-old striker for whom football runs in the blood. His father Chhotelal Mukhi is also a former footballer who played for local clubs but could never make it big. This is just the latest example of an athlete lying about their age, but it’s one of the most major gaps. Mukhi’s actual age being 12 years off what he said it was is remarkable, as most of the other cases have been exaggerations by only a year or two. And it’s led to a lot of egg on a lot of faces.